You can also considering going for a more narrow niche - e.g. Black Lesbian women. This will better outline what you can give and receive from users. Send us a request to learn more about setting a site like this one. 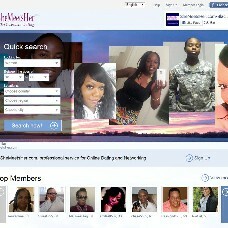 She Meets Her is a Premium and Exclusive online Dating website for Black Lesbian women, powered by S4 Enterprises. Created with the intent of offering a platform to foster healthy and sustaining relationships to those in the Black Lesbian community.